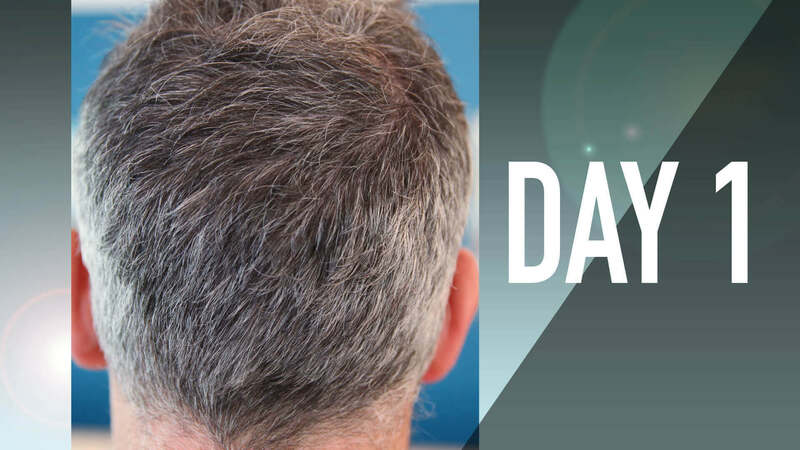 youthful hair color within 14 days. Step 1: Select Your Quantity, then press ‘Update cart’. Step 2: Review your Order, Enter your Payment and Billing Information. GrayBan is a convenient spray that allows you to lose your gray in natural way. It doesn't dye your hair! Instead it combines with your scalp's natural proteins to bolster melanin pigment, restoring your original youthful hair color. It contains no harsh chemicals, no foul odors and best of all, it's easy to use. GrayBan works with the natural protein in hair to create melanin that gradually and naturally brings back your hair color. Just spray GrayBan on once a day for about 3 weeks, then maintain as needed. An added bonus is your hair's increased volume bounce, and shine. GrayBan wont Damage hair wash out or rub off. *Based on an independent clinical survey of 200 participants by SpinControl France in 2007 (details below). 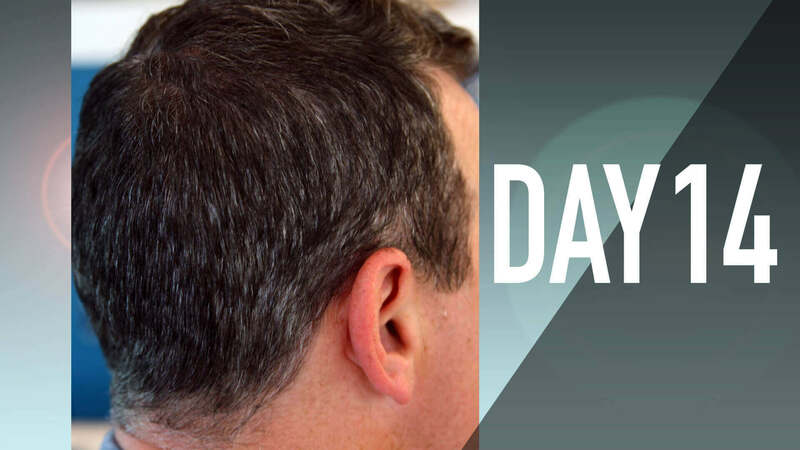 I had very dark hair and started going gray young and now at 59 am very gray, especially on the sides. My hair is definitely getting darker again using Gray ban. I will continue using this product and look forward each day to the subtle change occurring. This is the BEST!!! I have tried everything and nothing worked for me. Either didn't darken my hair or made it a weird color. This stuff does the job nicely and gradually. Plus it is so easy to use. People started saying "You look great" not even noticing it was the darker hair. Love this stuff. Very high quality product!! 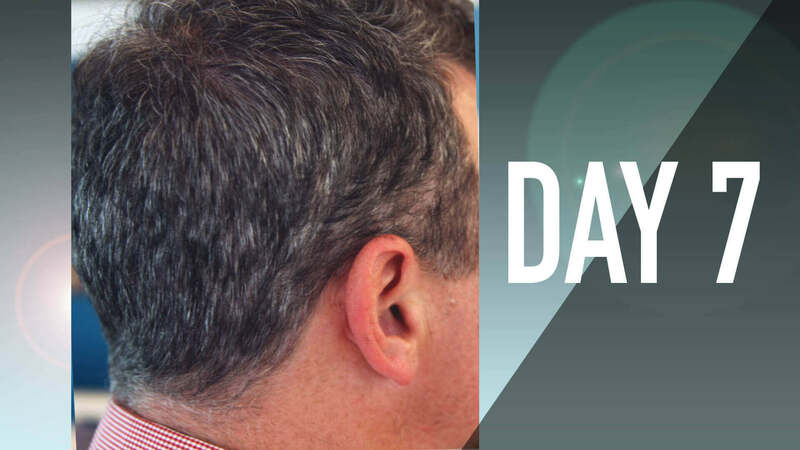 By day 4, my wife and daughter noted that my hair color looked perfectly natural exactly as it did before the graying began. I can wash it normally without playing freeze-out to keep from rinsing the un-natural looking salon color out. I think this easy spray on then comb in treatment will be all I need for maintenance. LESS GRAY IN 3 DAYS!